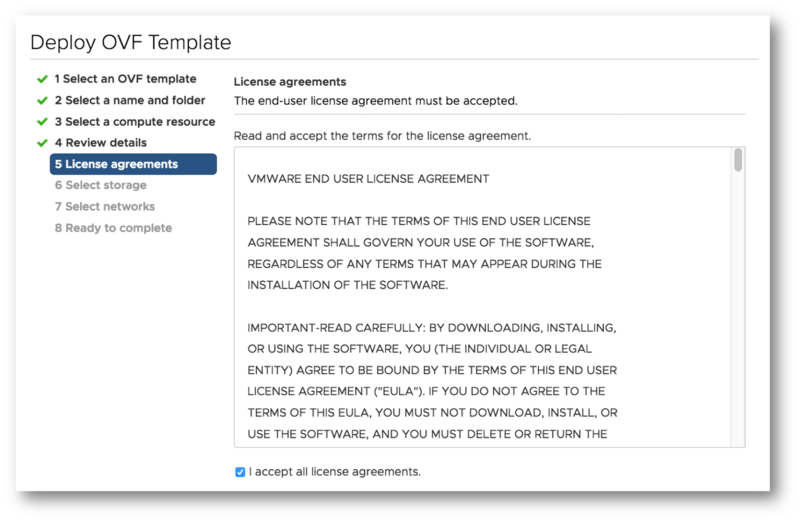 During a recent discussion with a customer, the need for deploying a bunch of tests Virtual Machines over a VMware Cloud on AWS vCenter has risen and the customer asked if it would be possible to use AWS S3 as the repository for that. 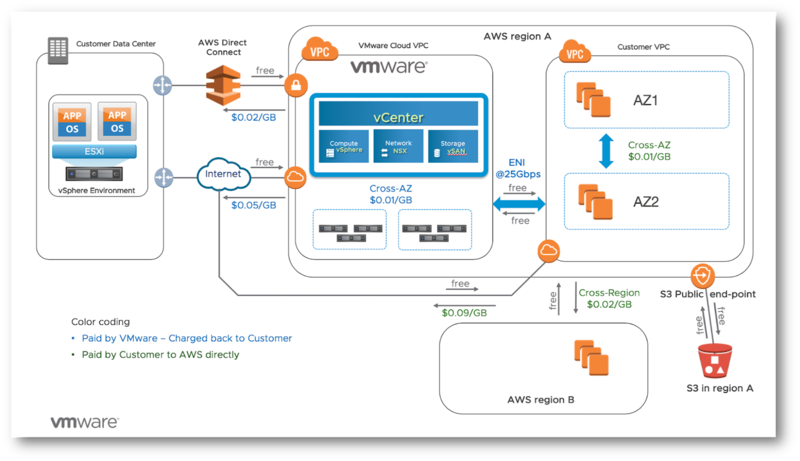 And this is where having native AWS resources access using ENI in VMware Cloud on AWS is coming into play. 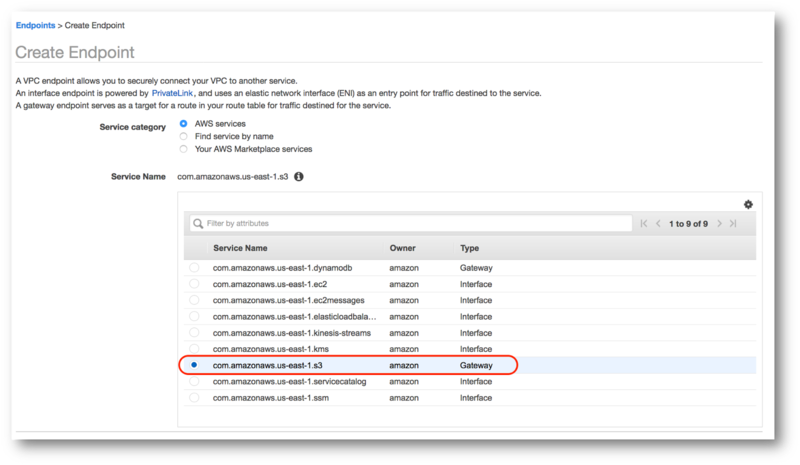 In that case we are going to setup an end point in our VPC to S3 so the traffic stays in the same region and on the internal AWS network. 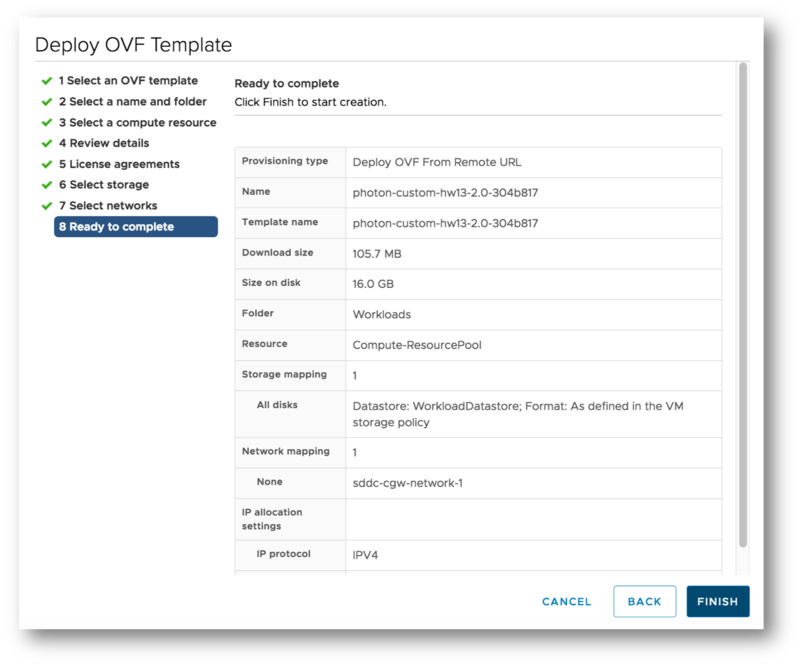 To make sure NO traffic will go across the Internet, and for this test, detach any Internet Gateways (IGW) from your VPC. The ENI Inbound rule is for the return way. 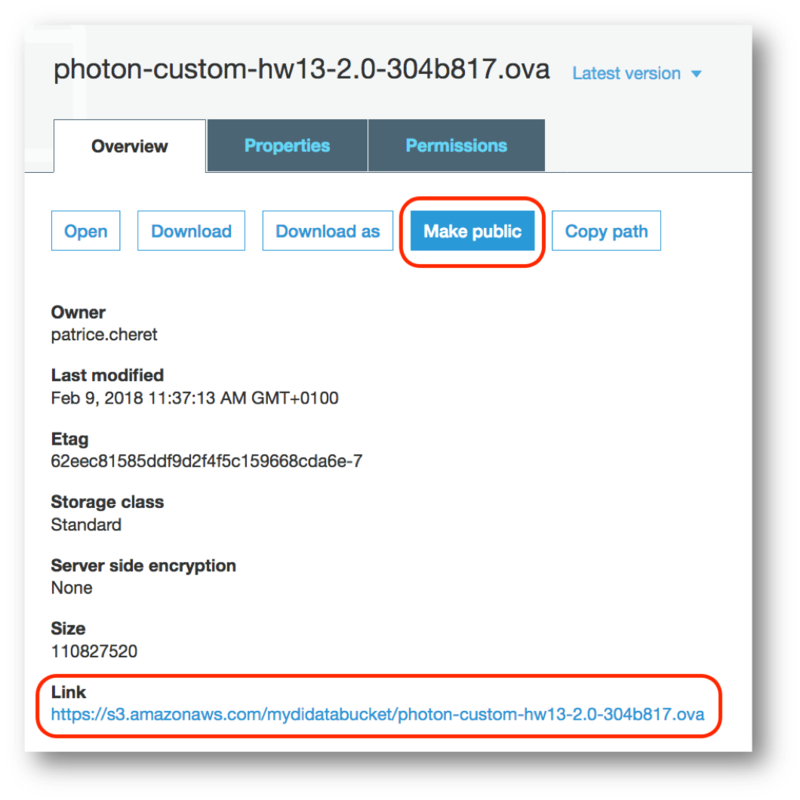 Select the OVA you want to deploy and copy it to an S3 bucket preferably in the same region where your SDDC is deployed. 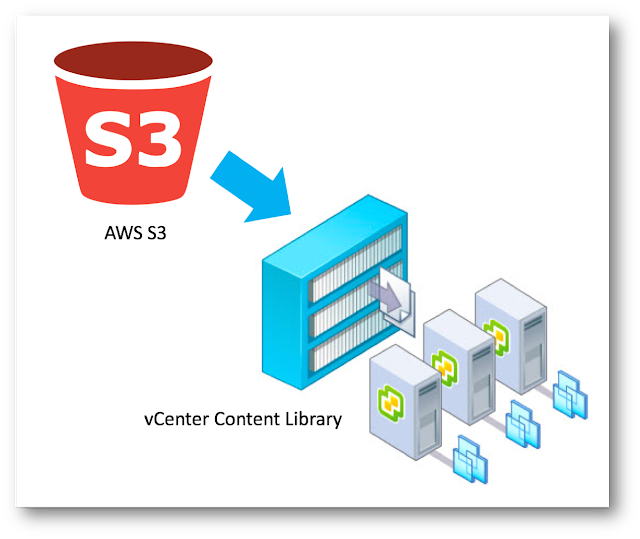 A nice way to bulk transfer data to S3 is to use AWS Snowball. 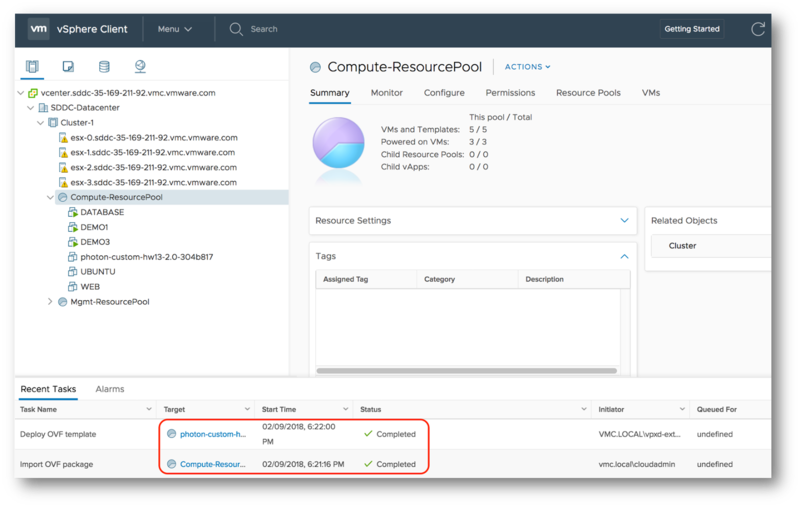 In VMware Cloud on AWS vCenter, right click on "Compute-ResourcePool" and select "Deploy OVF Template". Select the URL option and paste the S3 Link saved previously. 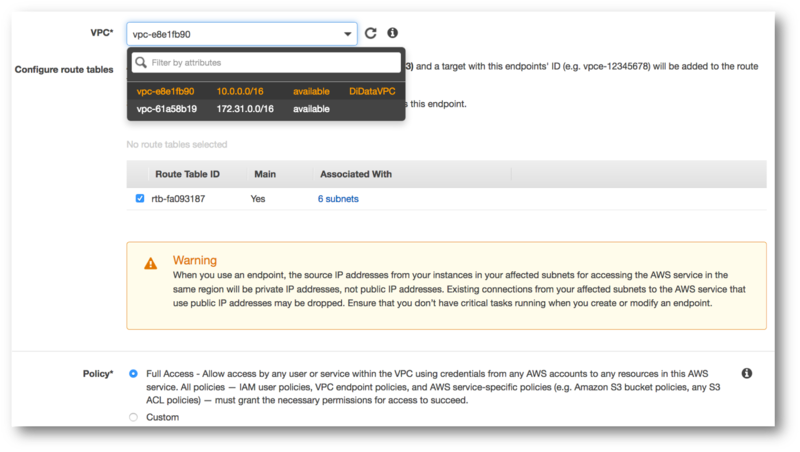 Skip the SSL certificate verification and proceed to the next screen. 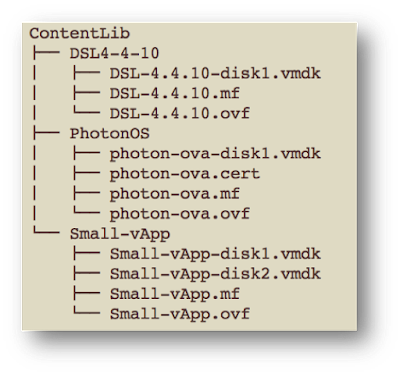 Select a Name and a Folder for the deployment. 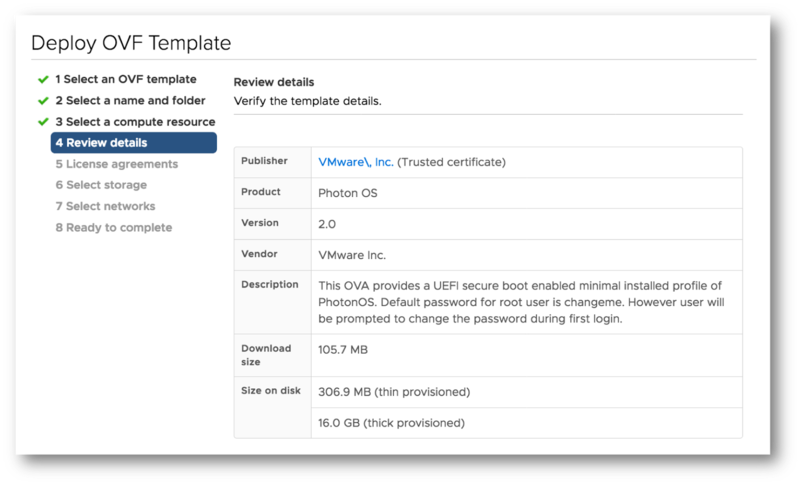 NOTE: At this stage you may hit an issue that will trigger the following error: "OVF parameter chunkSize with value XXXXXXXXXX is currently not supported"
Please refer to this article to have a workaround. And finally, click FINNISH to deploy. 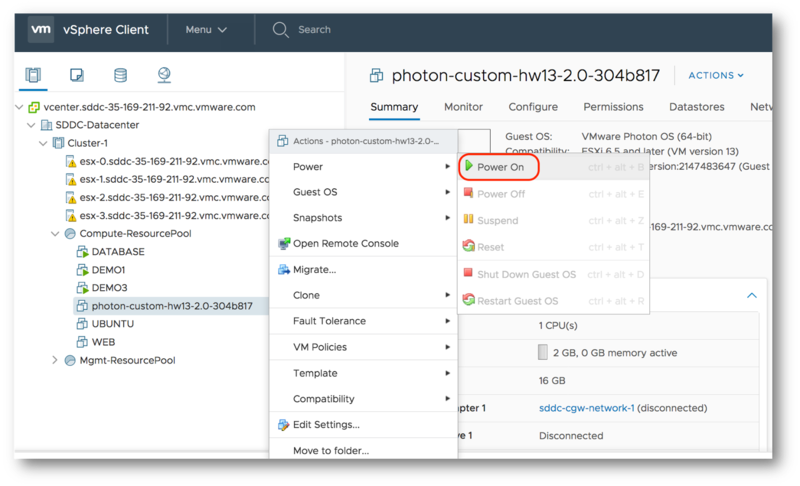 Check Recent Tasks status on the vCenter and wait for completion. 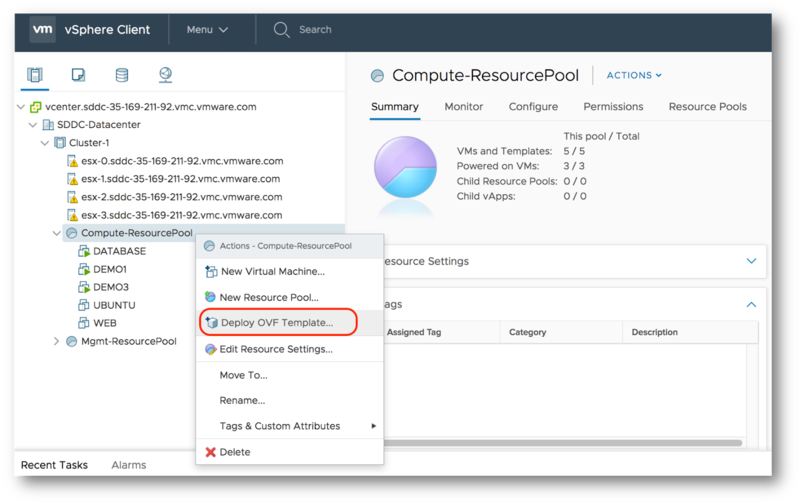 Choose the deployed Virtual Machine and power it on. 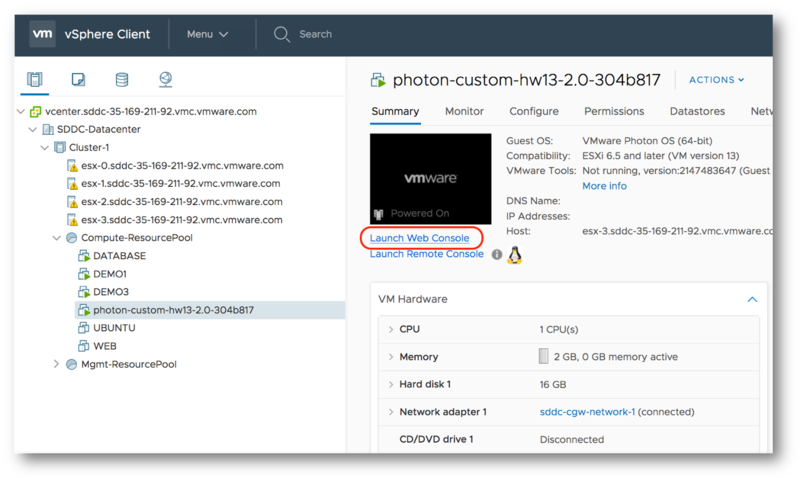 Launch the web console and access your Virtual Machine. Et voila, our Virtual Machine is up and running.